Wet food is a delectable option for dogs. They're usually full of flavor and chock full of the essentials. Canned food also tends to be fresher than their dry counterpart. With that being said, what happens if the pup ﻿﻿can't finish the entire can﻿﻿? This is a common question by dog owners that prefer wet canned food for their furry friend. Instead of tossing out the leftovers out of fear of spoilage, there are a few ways to make that food last longer and save money in the process. Before buying the dog's favorite can of grub, it's important to take a peek at the "best by" date. This date is often printed on the bottom of the can and can give owners a better idea of how to store the food. It's important to note that this date is not an expiration date. It's simply a general guideline of when the manufacturer has determined that the food will begin to lose its nutritional value. What does this mean? Essentially, it means that feeding the food a little past the given date isn't a big deal. However, it also has its downsides. Because this date doesn't indicate when the food will go bad, it's perfectly legal for stores to sell cans that are well past their prime. It's not uncommon for owners to purchase a can that has a packaged date from years ago. Owners should always strive to purchase the freshest can possible. From there, owners can keep the food safely stored for years. The shelf life of wet canned food varies dramatically from manufacturer to manufacturer. In most cases, this number isn't even displayed on the can. Usually, canned food can last anywhere between two and five years as long as it's stored properly. Food should be kept in a dry and cool place. Unopened cans don't need to be refrigerated. The air-tight can and included preservatives will keep air and bacteria out, making it safe at room temperature like any other canned food. While it may be easy to store it in an unconditioned garage or basement, owners need to make sure the environment doesn't dip below 50 degrees Fahrenheit or above 100. With proper storage, owners can keep a stock of food for their pup. Of course, it's always good to contact the manufacturer and get a better understanding of their specific shelf life. Ideally, dogs will consume all of their food once it's given to them. However, that's not always the case. While dry dog food can stay out in the open for days or weeks, wet food is more susceptible to mold and bacteria growth. Leaving this food out for prolonged periods of time will lead to contamination. Because it has high levels of moisture, it will go bad in only a matter of hours. Owners should keep an eye out on their pooch as they eat. If they don't finish all the food in one sitting. there's still a window of time where it's good to eat. 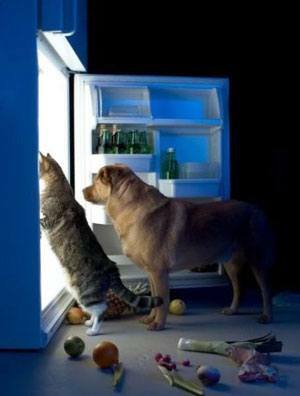 Owners can leave the food out in the open for up to four hours before it gets sketchy. The dog may choose to finish up their meal in a couple of hours, so it's good to give them that opportunity. After four hours are up, owners should discard of the leftover food and clean the dish. 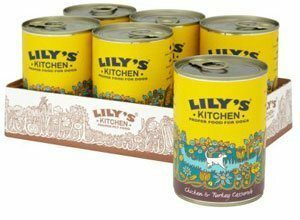 Wet canned food should be placed in a clean bowl with every feeding to ensure that leftover remnants don't contaminate the new meal. If an entire can of dog food is too much food for one feeding, the opened can will hold up very well in the fridge. The food will stay in good condition in refrigerators set at a temperature between 40 and 45 degrees. Depending on the particular brand and formula, owners can keep the open can in the fridge for five to seven days. With that being said, it's important to take a few additional steps to ensure maximum freshness and prevent contamination of other foods. The main goal of storing the opened food in the fridge is to retain moisture and prevent air exposure. If not protected in the fridge, the food will dry out. There's also the possibility of mold spores growing on the surface. The best way to avoid this is to reseal the can. Plastic can covers are a great option for owners that frequently store cans. They snap onto the top of the aluminum can and create a tight seal. This method also helps to prevent the smell of the food from permeating to other foods in the fridge. Owners will find this tool a worthy investment to avoid that dog food smell. Another option is to use plastic wrap. High-quality wrap has similar properties to the plastic cap. It prevents moisture from escaping while creating an effective barrier against oxygen and smells. If owners don't have those two around, a plastic zip-lock bag will do. They excel at keeping moisture in, but will still allow air and smells to travel through. Either way, any of these methods can help store open cans in the safety of the fridge until the puppy is ready for their next meal. Owners that need to store their opened wet dog food for a longer period of time can look to the freezer for help. Freezing the dog food will keep it safe to eat for a long period of time if done correctly. There are a few different methods depending on the needs of the owner and dog. With that being said, the freezing method can deteriorate the quality of the food in terms of nutritional content and taste. Keeping it in the freezer for too long may make it undesirable to dogs, so owners should try serving the food as soon as possible. The easiest way to freeze the food is to pop it in some zip-lock bags. Owners can portion out the food so that it's easy to defrost and prepare come dinner time. Never put the can directly into the freezer. Due to the formula's high moisture content, doing so will lead to a nasty surprise when it freezes. Instead, use multiple zip-lock bags placed on a tray. It's important to space out eat tray to ensure that the bags don't stick together as they freeze. Another alternative is to use ice cube trays. This is great for owners looking to make a quick treat for their pup. It's also beneficial for portioning food after it has frozen. Simply fill the trays, leaving enough room for expansion. With either method, defrosting is fairly easy. Whether it's a large portioned zip-lock or small cube, run the frozen food under some warm water or pop them into the microwave. It's important to heat them up to moderate temperature to avoid burning the dog. 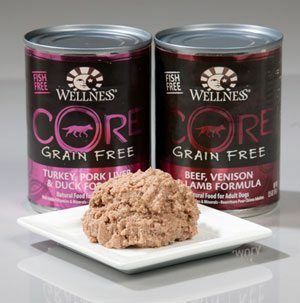 Wet canned dog food is a great alternative to the standard kibble. 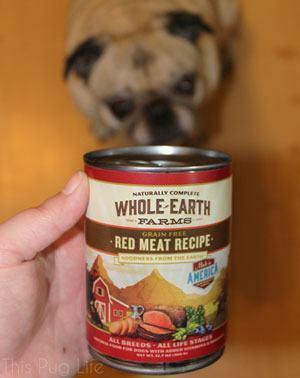 It's full of nutrition and flavor that any pooch will love. Unfortunately, many owners stay away from it due to a lack of storage knowledge. With these tips in mind, owners can save money and store their food the right way.